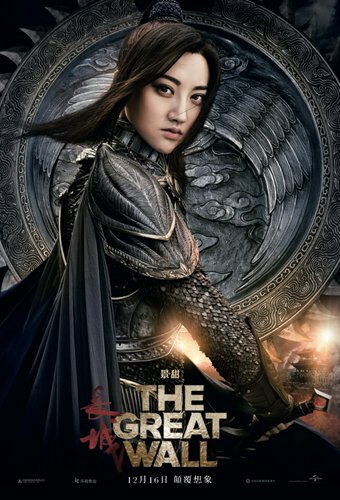 US-China fantasy action co-production The Great Wall broke the 600 million yuan ($86.3 million) mark on its sixth day in Chinese mainland theaters. Yet, while the film is an undeniable commercial success, the debate over whether the film is any good continues to rage. Among those raising their voices against the film is Wang Sicong, son of Dalian Wanda Group Chairman Wang Jianlin. Wanda is a major name in the movie industry. It owns one of the largest cinema chains in China and purchased AMC Theatres in 2012. With an estimated budget of $135 million and famed director Zhang Yimou at the helm, The Great Wall was one of the most highly anticipated films in the mainland this year. After the film was scheduled to release first in the mainland before anywhere else, Chinese audiences were in an enthusiastic mood, that is until harsh reviews of the film began appearing the morning of the film's release on December 16. Surprisingly, opposing opinions concerning the film began to rise as more moviegoers saw the film and posted their own reviews online. These polarizing viewpoints have encouraged more audiences to see the film, so they can weigh in with their own judgements and opinions. The majority negative reviews have come from professional critics. For example, Wen Bai, a magazine editor and film critic, severarly criticized the film on WeChat on the film's opening day. He called the film nothing more than a version of the Beijing Olympic Games opening ceremony taking place on the Great Wall of China. Zhang was one of the opening ceremony's co-directors. "It is a story about how balance beam champion Jing Tian [the film's lead actress] leads all these famous stars to fight against monsters. In the end, while the foreign friends fail, Jing, who has presented her bungee jumping, javelin throwing and gymnastic skills along the way, kills the monster with her perfect high dive skills," Wen wrote. He added that in his view, the film demonstrates that Zhang's aesthetic style is far past its expiration date. Among all the voices critical of the film, Wang Sicong, who also is a member of Wanda's board of directors, received the most attention, as Legendary Pictures, the US production company behind the film, is a subsidiary of the Wanda Group. According to entertainment site lanjingyule.com, Wang gave The Great Wall only a 5.1/10 on his personal WeChat account. "If Legendary Pictures continues with such [low] quality works, I will end up regretting ever looking at them in a favorable light," Wang wrote. Lanjingyule.com also noted that Wang had previously given Zhang's Curse of the Golden Flower a 5.2/10. This is not the first time Wang has criticized a film. In fact, many netizens have praised the young businessman for his willingness to criticize big films, including those produced by Wanda subsidiaries. While professional critics have expressed disappointment in this internationally co-produced blockbuster, average moviegoers in China seem to have found the film is not that bad for a popcorn flick. "It's so Hollywood... I almost gave it four stars out of excitement," netizen Yang Xihuande Yang, a 29-year-old female moviegoer in Beijing, posted on Sina Weibo on Thursday. Although she admitted Jing's performance was the film's biggest flaw, "except for that, there is not much to criticize... The script is neat, and the climax, funny parts and tear-provoking parts are where they should be." "It is a qualified Hollywood commercial monster fighting CGI film that has a Chinese director involved. Some people demand that the film have a deep philosophy, which I think is a bit hyper-critical. It's as silly as asking for the Avengers franchise to feature social criticism," netizen Zhaniangao, a male filmlover from Qingdao, East China's Shandong Province, wrote on film site Mtime, where he gave The Great Wall a 7/10. The debate around the film has been so hot that even big name studio executives are getting in on the action. When one critic going by the pen name Xiedu Dianying wrote "Zhang Yimou is dead" in his review, this caught the attention of Zhang Zhao, CEO of Le Vision Pictures, one of the Chinese studios involved in The Great Wall. "You who are hiding in the sewer cursing that Chinese films are rotten! Long live the filmmaker!" Zhang posted on Sina Weibo. Though Xiedu Dianying later explained that he was not directing his criticism at the director himself, but merely saying that he felt Zhang Yimou's career was over, Zhang Zhao showed no hint of forgiveness. The official Sina Weibo account of Le Vision Pictures even posted a warning letter, asking the critic to issue a formal apology. 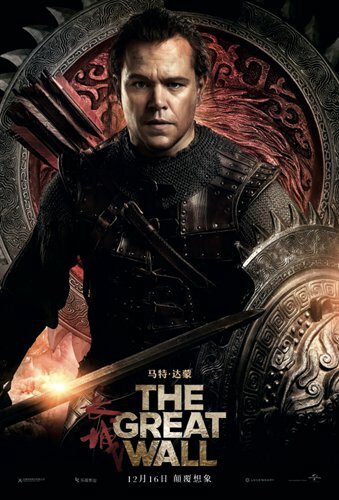 Considering The Great Wall's commercial performance so far, it looks like the film will have a long run in cinemas, which means the debate over whether the film is good or not will continue for some time. Soon enough, overseas audiences will also be able to join the debate as the film will debut in European countries in January and February, and the US on February 17.